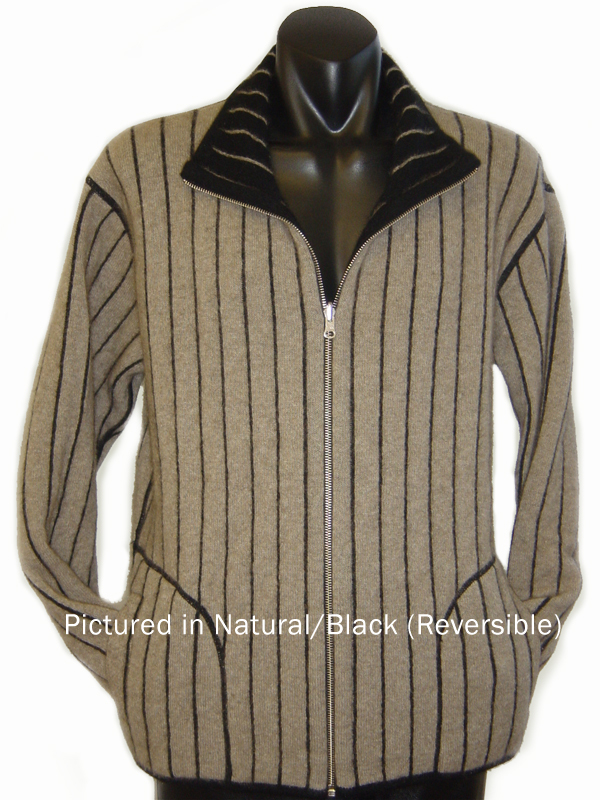 Possum Merino Reversible Men's Knitwear Jacket - Perhaps A World First! Reverse this Knitwear Flyer style for 2 different looks. Warmth, versatility and great fashion sense combined in one jacket! Yarn Composition: 60% Merino Lambswool. 40% Possum Fur: the highest possum content possible! 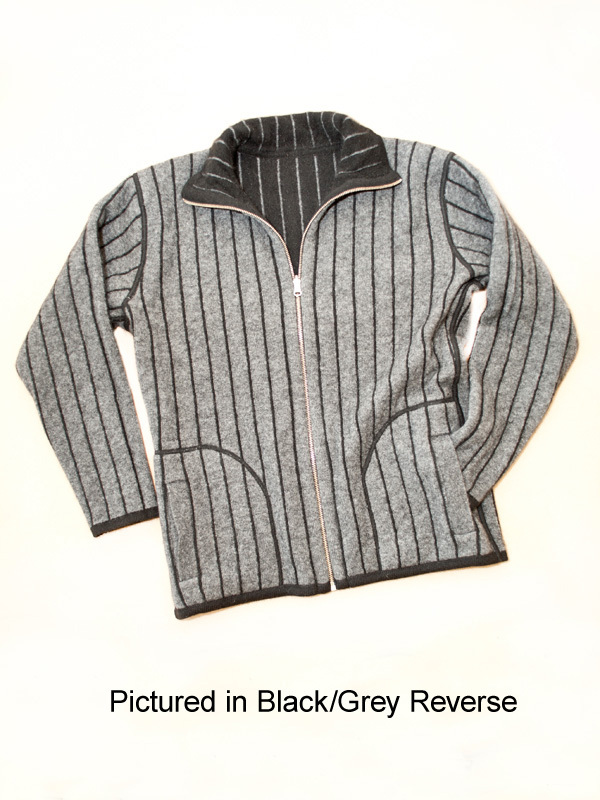 At last – a versatile men’s knitwear jacket in a pinstripe pattern in brilliant Possum Merino knit that is fully REVERSIBLE! We think we've designed a world first! 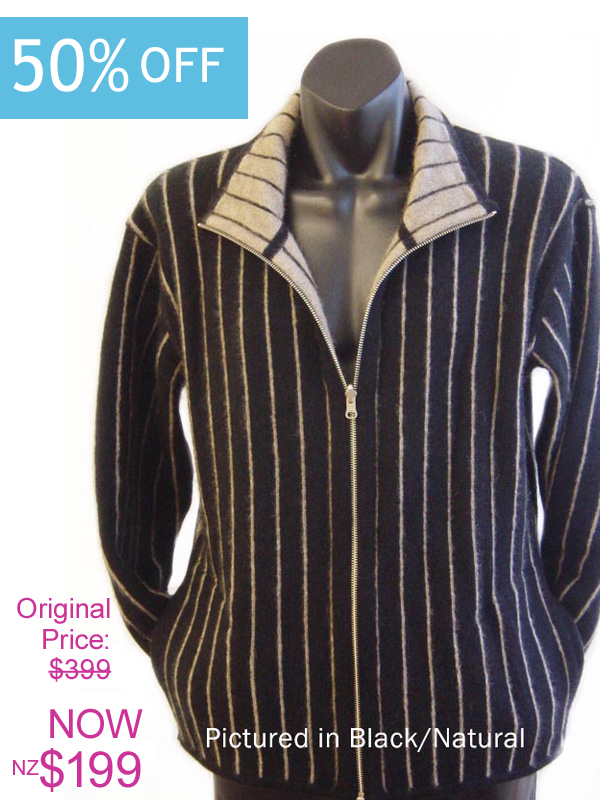 This Flyer styled pinstripe knitwear jacket is stunning whichever side it is worn. 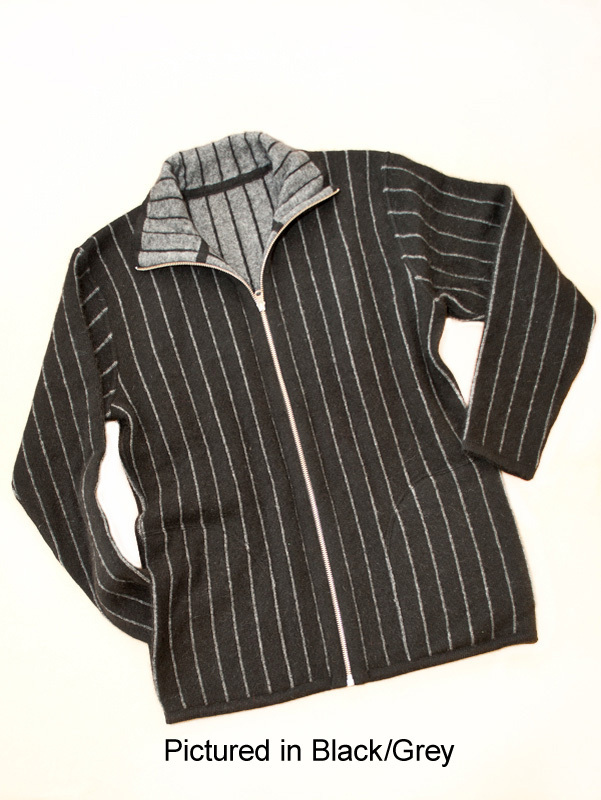 The reversible pinstripe pattern is produced by using a jacquard knitting technique which has the upside of doubling the warmth of this knitwear piece. Our merino sheep are second to none and when we blend NZ eco fur with merino, one can feel instantly the double insulation. Merino yarn is one of New Zealand's premium exports and to combine the fibre from an ecological pest with the finest grade merino screams quality from every level. There is something about pinstripe that makes a guy look great - that's probably why every male has a pinstripe suit in his wardrobe or why the poshest schools have a pinstripe jacket as part of the uniform. So the pinstripe look is corporate and collegiate at the same time. Of course, pinstripes also have an optically slimming effect. The quality of this dramatic knitwear jacket piece is emphasized via the cool styling: four pockets, an ingenious flip over zip and reinforced coverseaming. This upmarket casual Flyer knitwear jacket will coordinate well with his polo neck cotton or merino sweater or crew neck tee. 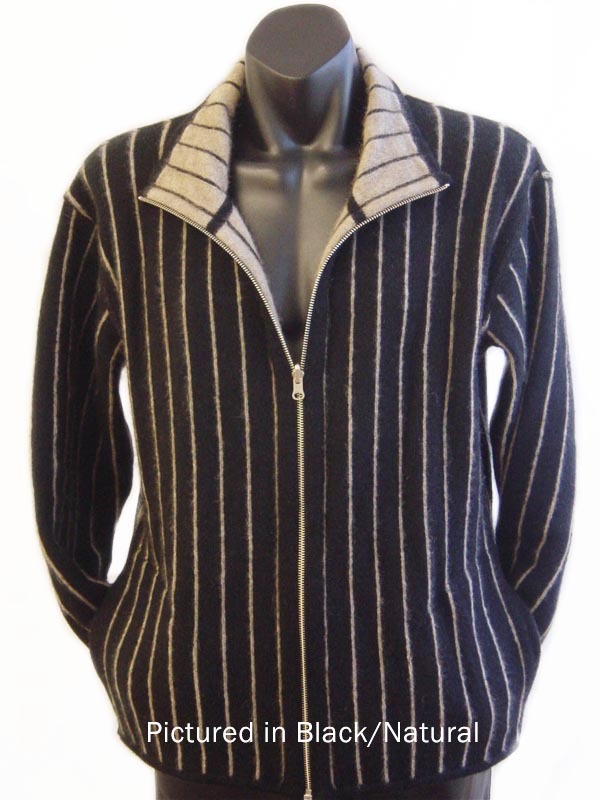 The wedge cut and vertical design pattern of this pinstripe knitwear jacket are so flattering, a few of you girls have grabbed them!